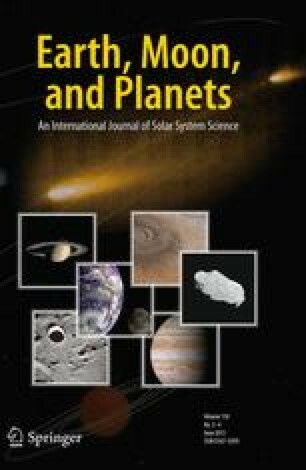 We assume that typical interplanetary grains are fragile, aggregates of the Brownlee type, and discuss the physical and dynamical processes associated with their entry into the Jovian magnetosphere. Limiting ourselves to the equatorial plane of the planet, we show that grains traversing the outer edge of the co-rotating magnetodisc (r≈35R J ) are rapidly charged up to large negative potentials on both the day and the night sides. A parent grain of radiusR g ≈20μ is electrostatically disrupted when it attains a potential of about −220 V. While the eventual potential achieved by the smallest fragments (R g ≈0.1 μ) are controlled by the rapid field emission of electrons, those of the larger fragments (R g ≈1 μ) are set by the plasma and photoemission currents. All the negatively charged fragments are strongly attracted towards the planet by the (radial) corotational electric field and some are stably trapped. We suggest that the sudden enhancement by about 2 orders of magnitude of the interplanetary dust flux measured by Pioneer 10, at about 30R J from Jupiter result from the combination of these two effects. The different brightness asymmetries between the leading and the trailing sides of the outer and inner Galilean satellites appear to be a natural consequence of the way the trajectories of these charged dust grains intersect these satellite surfaces. Finally, the similarity in the brightness asymmetries between the Jovian and Saturnian satellites, and our belief that they have a similar cause, leads us to the expectation that Saturn's magnetic momentM and spin Ω, are parallel as in the case of Jupiter, with the limit of plasma co-rotation lying between the satellites Rhea and Iapetus.